It’s a treasure to be there to encourage a child as they take their first uncertain, but joyful, steps in this world. 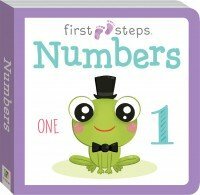 Hinkler offers you the opportunity to begin your child’s first educational journey with our innovative and absolutely charming titles and kits in our First Steps book range. Books are certainly an essential tool in promoting early childhood skills and development. 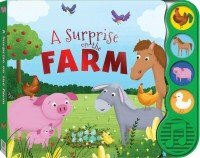 The range of educational board books and novelty titles in these series is specifically designed to help parents and carers in educating their children, while also bonding with them and providing a fun, innovative and engaging learning experience. These enchanting books will forge a love of reading books for life. 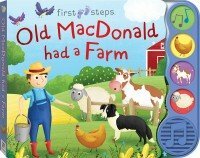 First Steps books includes an exciting and novel wide range of board books that will engage and educate children. 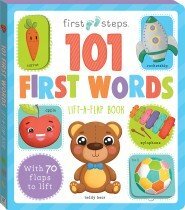 Our Baby’s First Board Book titles are focused on key concepts like the alphabet, colours, first words and animals – and all have adorable and quirky images that baby will love! 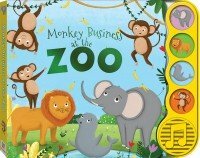 Your child’s face will then light up as their little fingers run over the special textured elements on each page of our special Touch and Feel books – they feel like they’re stroking real animals! As they become a little older they’ll also appreciate holding the story in their hands with our various Hold and Touch books. Each title contains a memorable special element to see and feel on every spread – ranging from sparkly glitter to fluffy flocking. 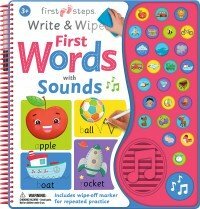 For more tactile-learning encouragement choose from our range of soft and brightly coloured cloth books, complete with crinkle paper between each page to make a satisfying crunchy noise when they are turned. 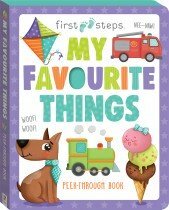 Perfect and safe for little hands, these books are designed to be read, clutched and loved. 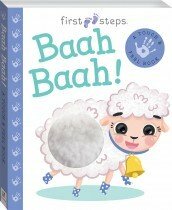 If you’re looking for ways to get your baby to enjoy bath time, then our bath books mean that even if they need to take a dip in the tub, they can continue to enjoy educational stimulation. 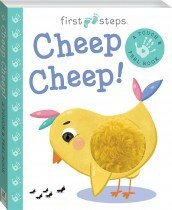 We’ve all known the joy of playing that old classic ‘peekaboo!’ with a tot – but have you ever known how fun it can be when played from a book? 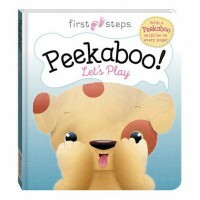 Now you can, with Peekaboo: Let’s Play! 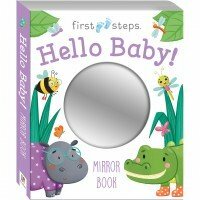 Kids will be enthralled and love joining in as with each turn of the main page you meet a new friend to play peek-a-boo with, complete with interactive peek-a-boo gesture motion. What if the book itself makes sounds too? 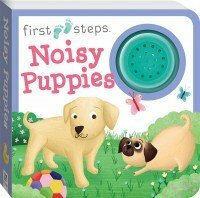 In the noisy sound board book range, little ones follow puppies and kittens as they go about their day, and when they press the sound module they’ll hear these charming characters bark and meow as well. 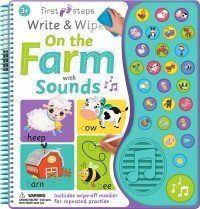 If it’s sounds that interests children, you should definitely consider the next step of this developmental path with the interactive ABC Write and Wipe with Sounds. Please see more information of these next-step category of books continued at the bottom of the page. Is your child is starting to enter to the more active learning stage? This is the perfect time to break out the Write and Wipe flash cards. 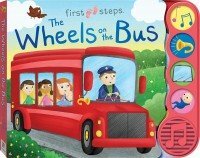 Flash cards are a fun way for children to develop visual literacy and numeracy skills in the early childhood years. 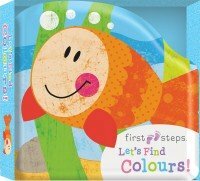 Each set contains two-sided flash cards featuring fun, engaging images and familiar concepts promoting a wide range of early childhood skills and the wipe-clean feature ensures repeated practice. 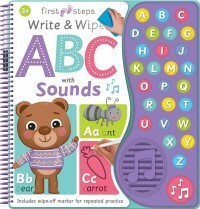 To add another dimension of learning and fun, let your kids enjoy the ABC Write and Wipe with Sounds. 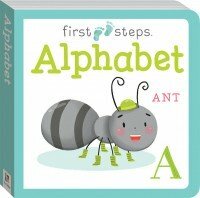 Children can discover the alphabet as they read through the book, complete each activity and press the button on the sound module to hear the letter, a representational word and a related fun sound effect. Pressing the final button launches the alphabet song, which is a fun way to cement the skills learnt throughout the book. 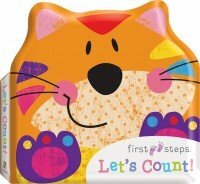 For more kinetic learning, consider the First Steps clock book, which teaches kids how to tell the time from a book that features activities from a child’s day and an interactive clock with moveable hands that really tick! 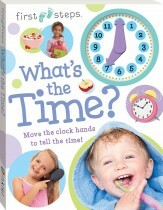 Finally, there are the amazing kits that guide parents as much as they do their little ones with selected titles from our successful series Ready to Go on toilet training, manners and bedtime. 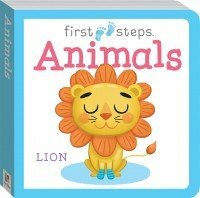 These comprehensive kits are created under the direction of expert child-psychologist and mother of two Janet Hall and include an easy-to-follow parent guide; a gorgeously illustrated board-book story for kids to enjoy that includes some of the main behavioural lessons from the guide in an engaging way, reward charts and reward stickers. 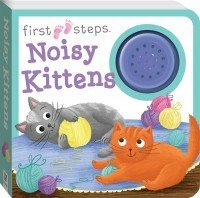 These kits not only help make these key, but often tricky, developmental phases in a child’s life a lot easier, but are also a lot of fun for the whole family!